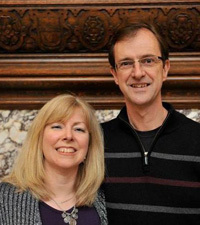 Bill and Jennifer Buitenwerf are pastors of Eastgate Alliance Church that meets at the International Community of Alliance Churches. They have been together in ministry since 1996. 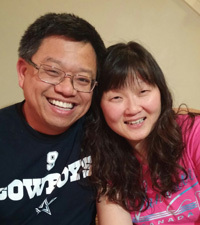 Paul and Sophia Chen are pastors of Ottawa Mandarin Alliance Church that meets at the International Community of Alliance Churches. They have been together in ministry since 2009. Do you feel God Calling you to Lead? 4 As you come to him, the living Stone—rejected by humans but chosen by God and precious to him— 5 you also, like living stones, are being built into a spiritual house to be a holy priesthood, offering spiritual sacrifices acceptable to God through Jesus Christ…9 But you are a chosen people, a royal priesthood, a holy nation, God’s special possession, that you may declare the praises of him who called you out of darkness into his wonderful light. 10 Once you were not a people, but now you are the people of God; once you had not received mercy, but now you have received mercy. If you feel called in leading worship to offer praises to God, then Burning Hearts House of Prayer welcomes you to use your gifts in volunteering to lead any night of the week. We also welcome more prayer leaders to join us in leading different nights each week. If you are prayer warrior intercessor, then we also need you to come and pray with us. We encourage all ages who are gifted in music,singing, teaching to serve with us at BHHOP. We’ve had 10 -16 year old children and youth lead us in worship. 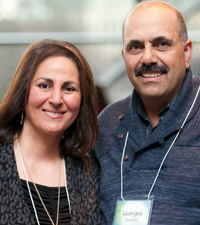 Please contact Nahia Haddad (BHHOP coordinator) through our Contact Page if you are sensing the Holy Spirit’s leading.